Most little boys have once dreamed of being a knight in shining armor, with a great sword in his paw and a spirited Uni between his knees, of riding out far and wide to do valiant deeds, and to seek fame and fortune. They have read many fairytales of some gallant general charging the enemy with his army right alongside him, and of the legendary knight Jeran, who's courageous, virtuous, and true. Unfortunately, many of those ancient tales of war and chivalry, that were originally meant to glorify knighthood and army life, have only smothered the unpleasant fact that there are ruthless men who care for naught but their own good and comfort. Most involved in army life are decent people, but there is a constant struggle between those who really want to serve their country, and those who are out for their own gain. Often the innocent suffer because of the wrong doers, but they'll always come out on top in the end. You do not believe most of what I have told you, do you? "What does he know?" you must be thinking, "A fifteen year old rugged brown Lupe? What could he know about such things?" Ah, my friend. I know a lot, a lot more: for I am Spirit, a darter for the M.M.G. "What is a darter?" Well, let me tell you: a very fast Neopet whose job is to deliver messages from the main base to other forts or encampments of the M.M.G. "What is the M.M.G?" Good grief, you don't know? Ah, well. M.M.G. stands for "Meridell Military Guard". That's the proper name for the main military force of Meridell. Now, I shall proceed to tell you about one of my "ordinary" days as a darter for the M.M.G... . I rolled over to the other side of my bunk and sighed deeply. It was a hot, miserable day in Meridell. Despite the terrible weather, everyone at the M.M.G. was resigned to do everyday duties and backbreaking chores. Well, most everyone. Two of my fellow darters and I were hiding out at our cabin. We hadn't been assigned any work, and with the intense heat we weren't about to ask for any. "I'm hot," complained fifteen year old Tonto. I looked at him with amusement. "You've said that about three times in the last five minutes." "To think that we are the same age, and yet even I'm more mature than you," I replied, grinning mischievously. "I haven't complained once!" Tonto made a face, and spluttered with mock anger. Laughter floated down to me from the upper bunk of my bunk bed. "Oh, really?" I heard my best friend say, as he tried to control his laughter. "I counted how many times you groaned about the heat, and it adds up to seven times in the last ten minutes! Who's more mature now?" The face of the skunk Lupe peered down at me triumphantly. "Humph. You're just cocky, Valente (pro. VAL-ENT-AY), because you're 'only' ten months away from your seventeenth birthday," I said dryly. Valente yawned. "Well anyhow, it's more fun than counting sheep." "Or counting duties?" asked a new voice that was deep and authoritative. Valente, Tonto, and I were extremely startled by the presence of the six foot tall, forty year old, masculine officer who stood in the doorway. The purple Kougra stood on two legs, and in his other two paws he held a bamboo rod that he always had with him, and which he would use if any of us misbehaved. Who was it? Captain J. Warring, the man who has us as his responsibility! "G-g-good morning-C-Captain, sir," stuttered Tonto nervously. The captain smiled at the young Kougra. "Same to you," he replied. He turned to me and my best friend. "Hot enough for you boys?" he asked jokingly. "Nah," Valente said as he mopped his brow. "It isn't bad at all. Why, it could get hotter." The captain then turned to me. He teasingly bopped me on the head with his rod. "What have you been up to, you little rascal?" I looked up at him meekly. "Me, sir? Why, nothing, of course. After all, what would a young guy like me be doing getting into trouble?" I looked at him with "pure innocence." Captain Warring laughed, and looked at me again. "You know Spirit, one has to keep his wits about when he's around you. With those big, green eyes of yours you can enchant anyone!" He then turned and walked away from me, stood in front of the doorway, and turned around to face us. "Now then," he said sternly, "what are you three doing hibernating in here?" I and my companions looked at each other, waiting for one of us to speak. "Well sir," Tonto began, "you never assigned us anything to do, so-"
"So I will now," the captain said firmly. I jumped at the sound of my name. "Yes sir?" "You will go to Old-Oak Ridge and deliver a message to Commander Wright. Go to my cabin, and once you are there one of my lieutenants will give you a canteen and the written message." I stared at the captain in disbelief. "But, but Captain! Old-Oak Ridge Fort is about thirty miles away, and with the heat, why I... well, I..."
"... better get moving," finished Captain Warring. When I realized that I wasn't going to be able to change my superior's mind, I sighed, jumped off my bunk, and forced my four paws to head toward the door. When I passed him by, the captain gave me a pat and said, "Off ye go; there's a good lad." As I stepped through the door and left the shelter of the cabin, I heard my friends being assigned some chores to do at the camp. "Lucky..." I said to myself. "Oh, well... I guess it could've been worse for me." I headed for the captain's cabin, which, fortunately, was only a few feet away. The sun beat mercilessly onto my back, head, and shoulders. The heat was terrible, and it seemed that the more steps I took, the hotter it got. I stopped to open my canteen, and took a swig of water. It was only then that I realized how little water was left. "Oh, gosh..." I muttered, as I stared at the bottle's contents. "And I've got fifteen more miles to go too. Ugh." I decided it was wiser to ration the precious water, as there wasn't any stream nearby, only endless, green meadows. Reluctantly I put the canteen away as I once again checked to see if the written message was where I put it, and yes: it was still tucked under my silver collar. I continued to walk quickly for some time (although darters are actually supposed to run), but then I stopped. Someone was following me! I spun around quickly, but no one was there. Still though, I could feel a pair of eyes watching me... I decided to break into a run, so I turned around and my paws started to move. All of a sudden I heard another set of paws going pitter-patter, pitter-patter, on the pavement behind me. I dared not look back, but I tried to run faster. "I'm the... fastest... darter... in my... cabin..." I thought between breaths. "I can... outrun... this guy... easily..."
Unfortunately, because I was dehydrated, and because of the lack of oxygen in the hot air, I couldn't go any faster; I was beginning to slow down. Before I knew it my unknown pursuer was right behind me, and was still picking up speed. I felt like I was going to collapse with exhaustion and lack of water when I heard a sharp growl, felt paws grasping at me, and found myself on the ground! For a split second my body was stunned by the fall, but the next moment I snarled defensively, threw my attacker off of me, and jumped back on my feet. "Quito?!?" I cried in surprise. The fourteen year old camouflage Kougra tried to sit up, and rubbed his head ruefully. "Gosh, Spirit," said Quito (pro. KEE-TOW), "I didn't know that you were so strong, but I thought you were faster than you just proved to be!" "Never mind that, you little imp," I said firmly. "What's the big idea?" I looked sternly at Captain Warring's youngest darter. Barely older than a child, the young Neopet had only turned fourteen a couple of weeks ago. "Oh, please don't be cross with me," the Kougra begged. "It was only in good fun. When you were just standing there a bit ago I thought I'd pounce you, but just enough to startle you, see? But then you started to run, so I had to chase you." "But where were you? I didn't see you on the road." Quito pointed to the small clumps of bushes that lined the road. I sighed, and went over to help the young Kougra up. Once he was on his four paws again, I scolded him severely. "Now let's get this straight, Quito: you are not to do that again! Because I didn't know that it was you, I might've hurt you. Do you understand?" The Kougra nodded in silence. "Good. I won't tell the captain about this, but if something like this happens again, he's going to find out. Okay?" I turned and started to walk away, then I looked back at Quito. "Care to come with me to Old-Oak Ridge?" I asked, grinning. "It's only fifteen more miles, and then it's only a thirty mile walk back to camp." "Erm... n-no thanks," Quito said as he backed away. "I better be getting back to... to... camp! Yes, that's right, back to camp." With that, the camouflage Neopet ran off. I smiled, shook my head, and kept walking. Old-Oak Ridge. I'd forgotten what a large fort it was. I'd also forgotten how grey and cold its stone walls seemed. "Halt! Who goes there?!" cried a nervous-looking sentry. He stared down at me from his post at the top of the front wall. I looked at him curiously for a moment. I didn't remember these eerie, blue Gelert from my last visit. "Darter, sir," I finally replied. "I have a message for Commander Wright, from the M.M.G base, sir," I said carefully. For a moment he froze. "Erm, pass it to me through the gate and I'll deliver it for you." This I did not like, not at all. I heard a certain warning voice in my head. Something was definitely wrong. "Sorry sir, I have orders to deliver it the commander in person." The sentry frowned, and shouted something unintelligible to someone below. I heard the huge gate being unbolted, and the face of a sinister, red, Krawk peered out. "Follow me," he said in a raspy voice, "I'll take ye to Commander Wright." I followed the queer-looking guard through the dimly lit fort. As we passed them by, the multiple soldiers, lieutenants, and the such stared at us. Although I didn't look at them, I could feel their gazes, and it seemed as if their eyes were burning holes in me. The more of these creatures I saw, the more suspicious I became: I didn't recognize anyone! It seemed as if all the old inhabitants had disappeared, and had been replaced by these creeps. The question was: had they? "Here we are," said the Krawk in his raspy way. He started to open the oak door. "I'll go see if the commander is in." "Good idea, but I'll come with you," I said as I placed my paw firmly on the door. The Krawk scowled, and reluctantly let me in. "Young upstart," he muttered under his breath. We walked into a dark room, with the only light source being a few, small gas lamps. The walls of the room were lined with... empty bookcases?... and in the center of the room was a heavy curtain, which concealed the other side. "Someone to see you, Commander Wright," the Krawk called hoarsely. "Who is it this time, Hawkins?" came a deep voice from behind the curtain. "A darter, sir. From the M.M.G. base..."
"Oh... alright, send him in." I pulled the curtain aside as I stepped into the commander's office. It was virtually empty, except for a great, oak desk, a pile of rolled up maps, and the middles aged, green Scorchio who sat at the desk. "Well, boy?" he said roughly. I took out the carefully folded parchment and gave it to the officer. "A message directly from General Houston, from the M.M.G. Base, sir." Commander Wright snatched the message out of my paws and started to read it. Now I was beginning to wonder whether it had been wise to deliver the message, after having seen what I had seen, but what could I do? It was too late now. The commander looked up at me. "You may go, darter." "Do you have any reply which you would like me to give to the general, sir?" "No, no. That is all," he replied abruptly, and waved me away. "Very good, sir," I murmured as I backed out. As Hawkins showed me out, I felt that my suspicions were confirmed: these were not the same people as I'd seen the last time! I didn't know why or how it came to be, but I knew one thing - I was going to report every detail to my Captain Warring, and if need be, to General Houston himself. As it was already late afternoon, the heat had thankfully lessened, and a slight, cool breeze was blowing. I unconsciously stepped into the cabin's doorway, and stood up on two legs. I leaned against the open door and crossed my arms, lost in thought. "Wake up, dolly daydream!" chuckled a familiar voice. 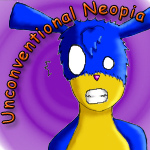 Half-mindedly, I turned my head to my right, and looked up at the twenty year old Neopet. The shadow Lupe gazed down at me from his perch on the top bunk of his bunk bed. "Oh, Jairon." I sighed. "I'm really confused." I got down on all fours again, trotted over to my bunk, and plopped onto it gratefully. "Why? What's up, buddy?" my friend asked with concern. I looked at Jairon with affection. Ever since I became a darter, he had been like a brother to me. "Ah..." I shrugged. "I probably shouldn't say anything until I report to Captain, but I'll say this: something really fishy is going on at Oak Ridge." "Well, I can't say that I'm totally surprised," Jairon replied. "That place looks so creepy it's no wonder that there's trouble there." "Yeah... by the way, where's Chase?" I asked. I hadn't seen the nineteen year old, brown Kougra all day. "Oh, him? He had a terrific headache earlier. He needed to go to the infirmary, poor thing," Jairon said in a joking way. "He kept saying that he was fine, but he drove the captain so crazy with his moaning he literally dragged Chase there!" Jairon started to laugh, and I laughed with him. I was trying to get my mind off of the most disturbing detail of the trouble with Oak Ridge: I had delivered a message, from General Houston himself, to an unknown imposter of Commander Wright! "...and so I realized that something sinister must've happened." I had just finished telling Captain Warring and General Houston what had happened at Old-Oak Ridge. The general frowned. "Are you sure that the man you saw was not Commander Wright?" he asked. "Yes sir; I'm most certain," I answered without hesitation. "Then... why did you had over the message?" my captain asked me. "I... I'm sorry sir. Because it was dark in there, I thought that is was him, so I gave him the message. But when he turned on his lamp so he could read it, the light shone on his face. Only then did I realize that it wasn't him. By then I didn't know what to do..." I bowed my head dejectedly. "I suppose that... that I failed you, sirs," I said unhappily. I felt so miserable. I also thought that I'd surely get a beating for making such a mistake. The general stood up. "Nonsense, lad," he said smiling. "You've done very well. You kept a sharp eye out and noticed everything." He turned to leave. "Now, I must have an investigation set immediately." He nodded to the captain, and briskly walked out. I must admit that I was surprised by the state of events. I looked at my captain quizzically. He too smiled. "You've done well, Spirit; very well, my boy." "But... but... Captain? The message... I gave it to..." I was really confused. Captain Warring shook his head. "Don't worry about that; a minor mistake in this case. It wasn't anything important to any outsider... it was only a few updates to keep the Commander informed. Nothing of great significance." I exhaled deeply. How relieved I was! Captain laid his paw on my head. "I'm so proud of you, Spirit," he said, looking at me with a pleased expression. "I really am." Later that night, right after curfew, I lay in my bunk thinking. I had done my job well, and that made me happy. After all, being a darter can be stressful for a fifteen year old boy like me. I need to know when I've done well. Well, there you have it, listener. That was just one of my days in my life as a darter for the M.M.G. Author's Note: Spirit hopes you liked the story! Well, look out for the next one: "Life As A Darter for the M.M.G - Disappearing Act".